the safety of everyone and minimizing the effect on traffic flow. The proven principle that we use to achieve our mission is to provide only qualified, LiUNA trained, unionized workers to our clients, trained to value safety above all else, who work anywhere that temporary traffic conditions can exist. We fulfill your needs in the most cost effective way by drawing upon the experience of our valued on-the-ground management team, working together to come up with a fast and efficient process designed with project-specific layouts, that also rigorously conform to all laws and the standards of MTO book 7. We provide a complete solution to all of your traffic management needs. From the first phases of writing professional traffic plans, through to organizing the highest quality equipment, and getting the set up and tear-down done efficiently. We provide a total solution for all traffic control needs. Coupled with our commitment to safety and our professional association with LiUNA, National Traffic Safety can assure you that your valued employees and equipment assets will be provided with the best possible safety protection, so your job can get done as effectively as possible. 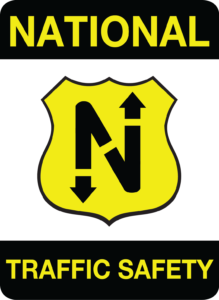 National is committed to exceed the guidelines presented by book 7 of the MTO.